The SMA "SubMiniature A" connector series is one of the most commonly used RF connector due to its durability and performance. SMA series has a 1/4 - 36 UNS threaded coupling and can operate up to 18 GHz when using semi-flex or semi-rigid cable types. 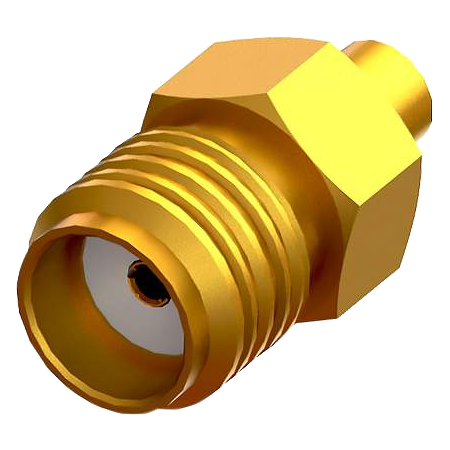 The SMA connector is typically rated for mode-free operation from DC to 18 GHz, though some proprietary versions are rated to 26.5 GHz. For performance above this, SMA-like connectors are used. 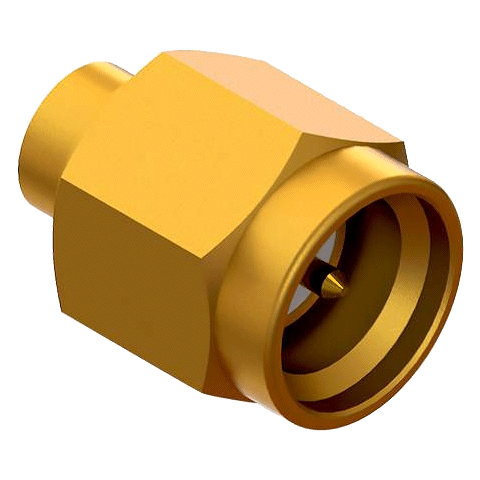 These are the 3.5 mm connector, rated to 34 GHz, and the 2.92 mm, suitable up to 46 GHz. These connectors keep the same outside thread as the SMA, so they can potentially be cross-mated, but the precision connector can be easily damaged when mating with low-grade SMA connectors. Built in accordance with MIL-C-39012 and CECC 22110/111, SMA connectors can be mated with all connectors that meet these specification mating diameters regardless of manufacturer. SMA was originally designed at Bendix Research Laboratories by James Cheal in 1958 and began life as the 'BRM connector', an acronym for Bendix Real Miniature connector. Its development was continued in 1962 by Omni Spectra when the connector became known as 'OSM' which stood for Omni Spectra Miniature. In 1968, it was incorporated into MIL-C-39012 where it received its current designation of SMA. SMA connectors are extremely common and can be found in a range of CPE devices such as cellular modems, SCADA radios, SDR, WiFi routers, and a range of other commercial wireless equipment. SMA connectors are also very commonly used in military hardware such as radar and satellite systems. Reverse-polarity SMA (RP-SMA or RPSMA) is a variation of the SMA connector specification which reverses the gender of the interface. This non-standard type SMA connector finds common application in WiFi and WLAN systems and is the most popular reverse polarity RF connector. The reverse polarity characteristic is achieved with a reverse mating interface in which the RP-SMA connector male houses the female receptacle while the RP-SMA connector female/jack houses the center pin. Reverse-threaded SMA connectors can also be found, where the connector features a left-hand 1/4 - 36 UNS thread.